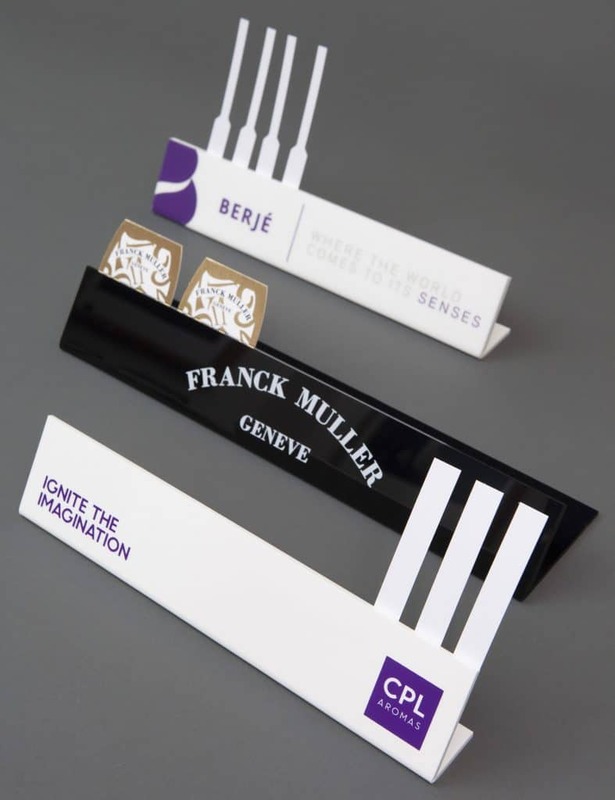 We supply Tester Strip Holders (sometimes known as Porte Mouilettes de Parfum). Plain or printed with your brand logo, we supply several types of Tester Strip Holders for either Retail POS or for use in the Laboratory. ‘POS Display’ Tester Strip Pot Holder – are produced in coloured plastic, approximately 50 wide/depth x 100mm height, ideal to hold your branded Tester Strips and allow prospective customers at point of sale to select a strip, then sample your fragrance. 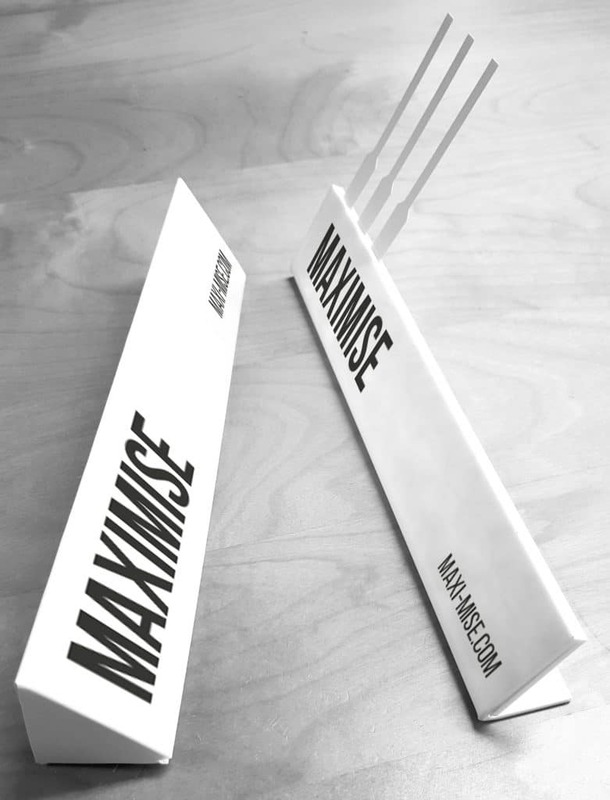 ‘Perfumers’ Tester Strip Holder – made in clear/coloured plastic, holding between 10 and 30 Tester Strips we supply two styles that allow the Perfumer to hold strips during the creation process. Popular in the laboratory and also, in sales offices, as they are an ideal promotional gift. The Tester Strip Holder Presentation Box is an additional option if you are giving the Branded Holders as Promotional Gifts to your clients. They are printed on White Board/Card and laminated with a gloss or matt finish. The boxes are then die-cut to triangular shape but supplied flat for you to assemble. Once assembled, the Holder slides into the Box and then flaps are tucked in at each end to ensure no movement.